We all like a stat. Whether we realise it or not, we like numbers. They help us understand the world…when they’re used correctly. 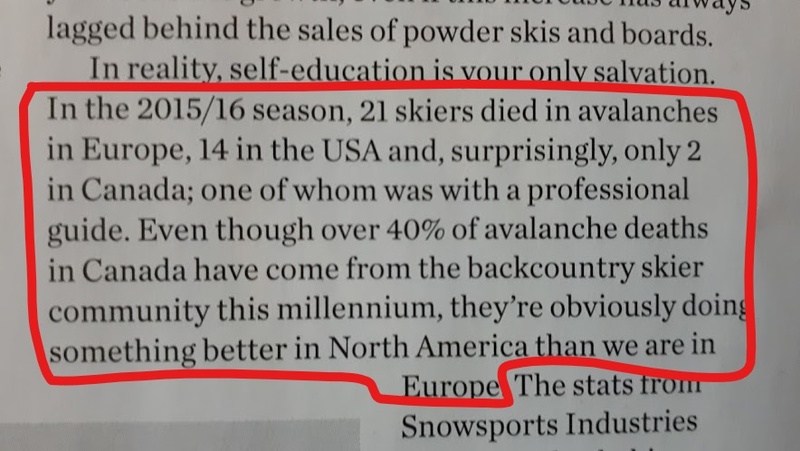 We noticed a couple of examples of dubious data while reading two of this month’s ski magazines. 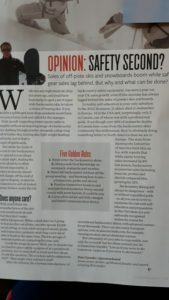 In Snow Magazine, Pete Coombs rightly laments the lack of sales of avalanche safety equipment relative to freeride skis. However, he points to the fact that there were 21 avalanche fatalities in the Europe relative to 16 in the USA & Canada as evidence that ‘they’re obviously doing something better in North America than we are in Europe’. Even allowing for the fact that the sample data is too small to be statistically significant, Coombs does not consider how these numbers stack up in relative, rather than absolute, terms. According to Laurent Vanat’s widely respected report on world skiing, 40% of the 325m worldwide ski visits for 2015-16 were in the Alps – equivalent to 130m skier days. This suggests a figure of 0.16 avalanche deaths for every million skier visits in Europe. US skier and snowboarder visits in the same period were 55 million, with Canada contributing 18m. That suggests the chances of an avalanche fatality in North America is 0.22 for every million skier visits. There are a multitude of caveats surrounding these numbers, but it’s certain that there’s nothing to suggest that the approach to avalanche safety by skiers in North America is any better than in Europe, and, if anything, the converse is true. 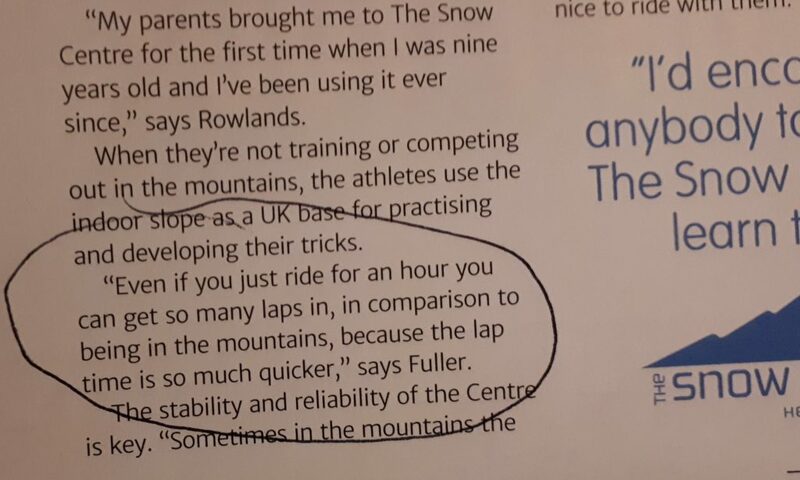 Another dubious quote that struck me was by Aimee Fuller in an ‘advertorial’ for The Snow Centre. Now, we like The Snow Centre: if you can’t get to the real mountains, an indoor slide is better than no skiing or snowboarding at all. Both statements could be considered correct…if the speed of the lift in both locations was the same and no time was lost undoing/doing up bindings. However, it’s highly likely that the lift in the mountains will be quicker, as The Snow Centre offers a drag lift and most resorts offer fast chairlifts or gondolas. So, any time spent in the mountains will mean more time on snow per hour (given similar queues and other caveats). Maybe regular readers of these magazines are not fussed, and to be fair, I’m 100% certain that I’ve made my own statistical and factual errors over the years. However, there’s an obligation on publishers to make sure they check their facts and check their stats to make sure they don’t mislead their readers.